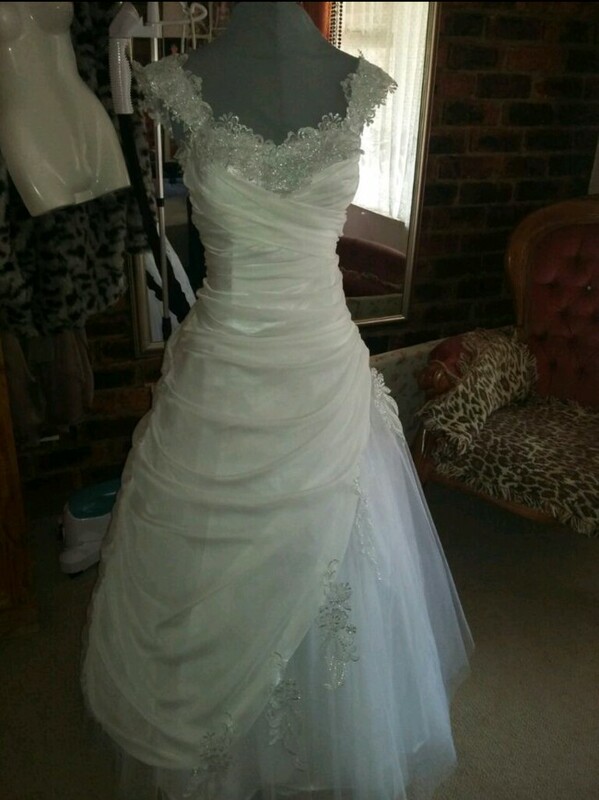 The dress is white, size 8 (SA), very light in weight even though it has layers and an under-gown. It has a built-in bra (size 32B), is made from three different materials - mainly bridal satin and netting. It has only been worn once. My length is 1,59m. No flaws - has only been worn once, needs to be dry-cleaned. Once you send a message, Marelize can invite you to purchase the dress.